All businesses need to have capital to pay their bills, as these bills typically cannot be put off until the business’ pending invoices have been paid. Companies that supply businesses with temporary staff are especially challenged in this area due to the inconsistency in times between when their invoices are delivered and when customers pay. Many other types of businesses get paid immediately after making a sale or soon after a service is rendered. Staffing companies, however, only get paid after the employee they have provided has done the work requested; bills and payroll must be paid on their set schedules and cannot wait for invoice payments. This is where factoring invoices becomes a valuable tool for staffing companies. Staffing companies in need of immediate funds usually turn to one of two methods: securing a business loan or factoring invoices. Taking out a business loan can be time consuming and is not without risks. Factoring invoices, on the other hand, can be done almost immediately once a system to do so is established, and factoring has very little risk. Factoring invoices in when a business sells its invoices to a third party (called a “factor”). The factor pays the selling business some percentage of the value of the invoice. Different factors will pay different percentages of the invoice to the seller. Percentages usually range from 50% to 80%. The greatest benefit of factoring invoices is turning potential funds into immediate capital. Having unpaid invoices is nearly as good as money in the bank, and they are a good barometer for a company’s health, but they won’t keep the lights on. Being able to factor invoices allows the seller to create funds as necessary (until they run out of invoices to factor) so they can pay bills and staff. The selling of invoices can be accomplished very quickly once a IT staffing company (or any other company) has found a factor and established a business relationship with them. This allows the seller to acquire immediate capital to handle their payroll, utilities, or any other expenses that cannot wait for invoice payment. Factoring invoices is a useful tool for businesses to keep in mind should they need it, but it is not without its drawbacks. The most obvious drawback is the loss of income. A factor will not pay 100% of an invoice’s worth after all, so the seller does face a reduction in their income when they factor invoices. Another thing to beware when factoring invoices is the possibility of fees charged by the factor. Factors will charge sellers fees if an invoice continues to go unpaid for too long. This is necessary to prevent businesses from unloading long-unpaid invoices on factors. If the customer defaults on the invoice, the factor may charge serious fees to the seller. Remember that a factor is not a collection agency. The factor will not contact the customer to seek payment for the invoice as this responsibility still belongs to the seller. 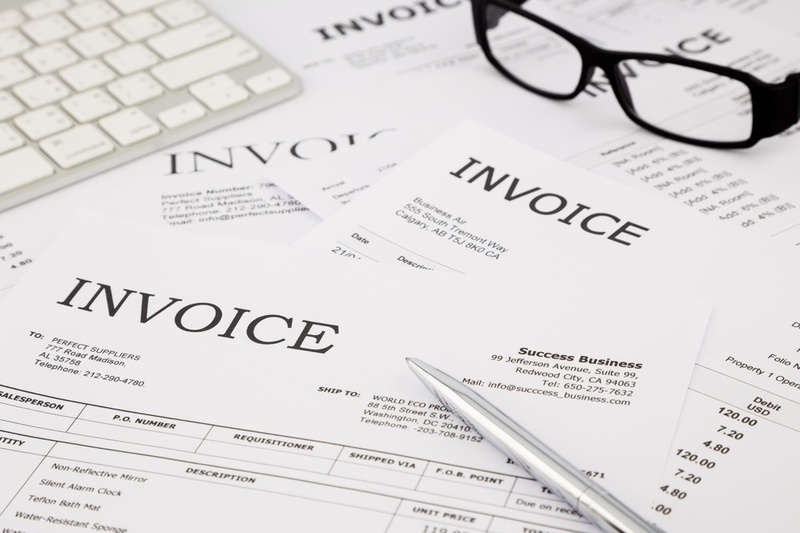 Factoring invoices can also be difficult to stop once it has begun. A company that chooses or is forced to factor its invoices may get caught in a cycle of needing to constantly factor its invoices rather than waiting for them to be paid. To get out of such a cycle, the business would need to go through two periods of the cycle without collecting from any customer. This can prove too large a hurdle for some businesses to overcome. Any company that has invoices waiting on payment and bills approaching their due dates should understand the option of factoring invoices. It is not a catch-all fix to a company’s financial troubles, but it can be a valuable lifeline when used prudently.